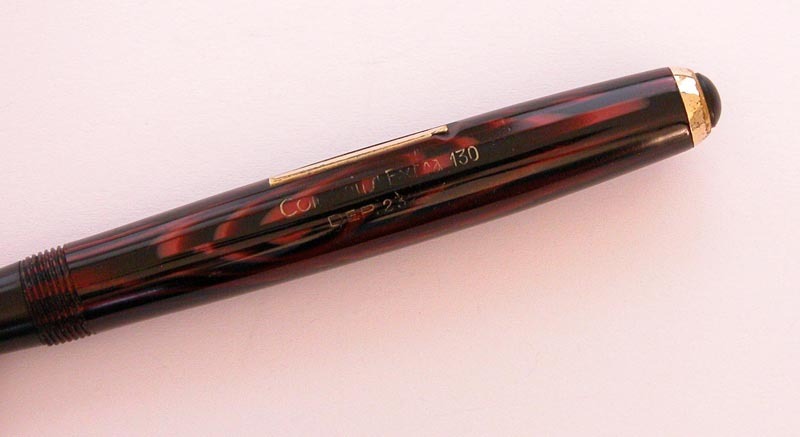 WONDERFUL COULUMBUSEXTRA 130 MANUFACTURED IN 1940 WITH TERRIFIC RED PLATINUM CELLULOID . 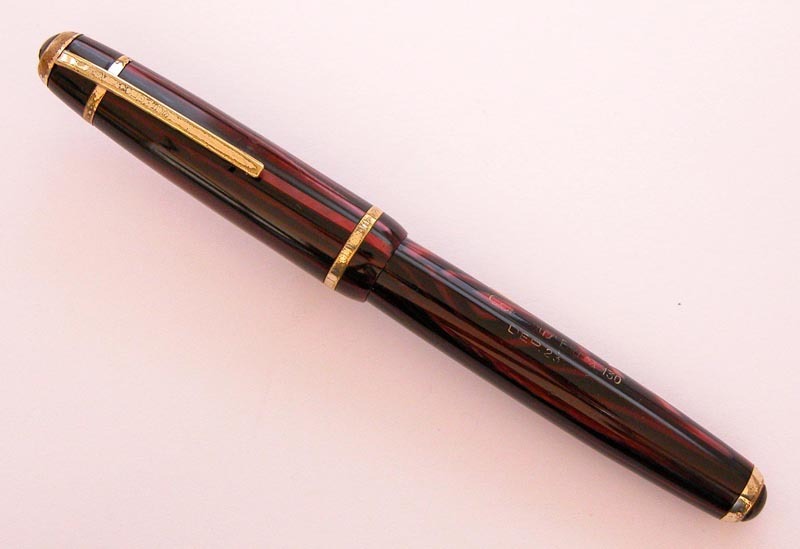 THE COLUMBUS FIRMWAS FOUNDED IN 1918 IN MILAN BY ALFREDO VERGA AND WAS OF THE OLDEST AND BIGGERITALIAN BRAND VERY SOUGH AFTER FOR THE HIGH QUALITY OF THEIR PRODUCTS AND FORTHE EXTREMLY ADVANCED DESIGN , FOR THET TIME, AND BALANCE OF THEIR FOUNTAINPENS. THE ONE OFFERED HEREWAS THE TOP LINE AMONG LEVER FILLERS DURING THE MID-LATE 1940 AND WAS OFFEREDIN THREE SIZE ( 130-132-134 OVERSIZE ) WITH 12 COLORS VARIATIONS. THE #130 MODEL IS A TOP QUALITY PEN, VERY WELL DONE, ALL THEPARTICULARS ARE VERY ACCURATE (LOOK AT THE CLIP AND THE PARTICULARS OF THEENDS) WITH A NICE OGIVAL SHAPE, LIGHT AND EXTREMLY WELL BALANCED. OPERATIVE CONDITION : WORKING AND READY FOR USE . AESTHETICALLY CONDITIONS: EXCELLENT- ONLY SOME NORMAL SIGNS OF USE AND SOME BRASSING ON THE METAL PARTS. 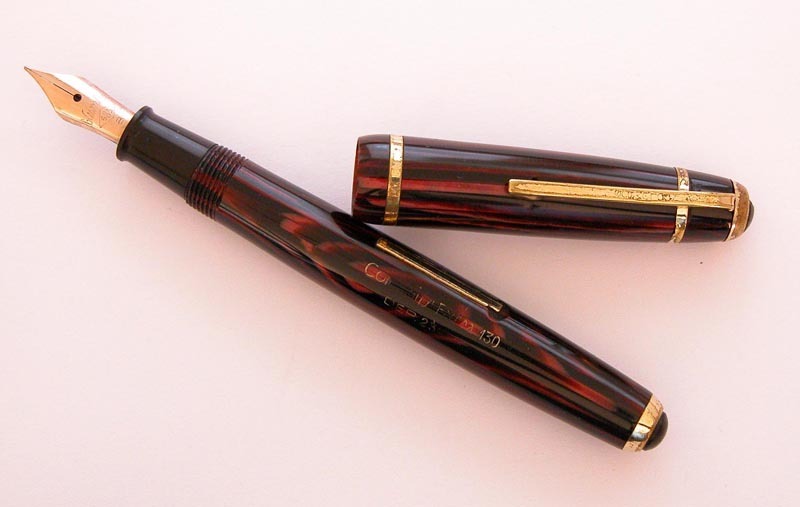 FPN price 200 euro shipped worldwide by registered mail with tracking number and paypal included. 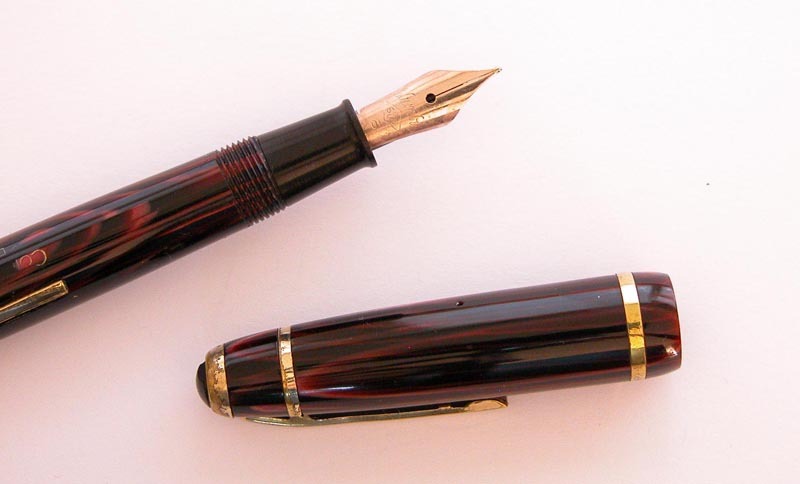 MY FAVOURITE VINTAGE FOUNTAIN PEN? THE ONE I DON'T HAVE! 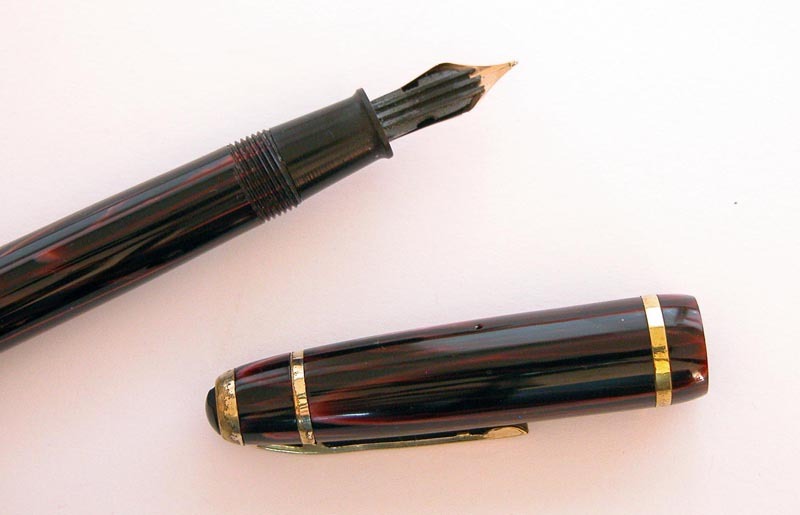 Could you post a writing sample?